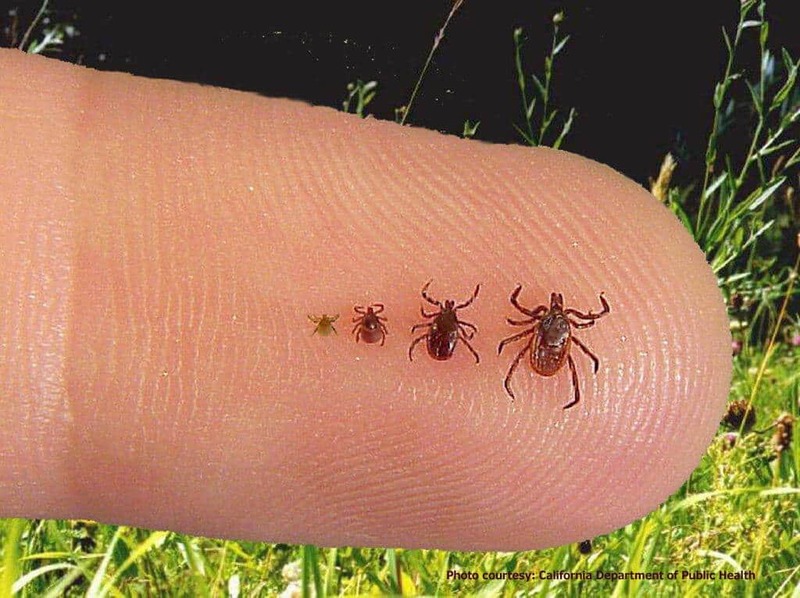 Ticks carrying Lyme disease are now found in over half of all counties in the US [ 1]. 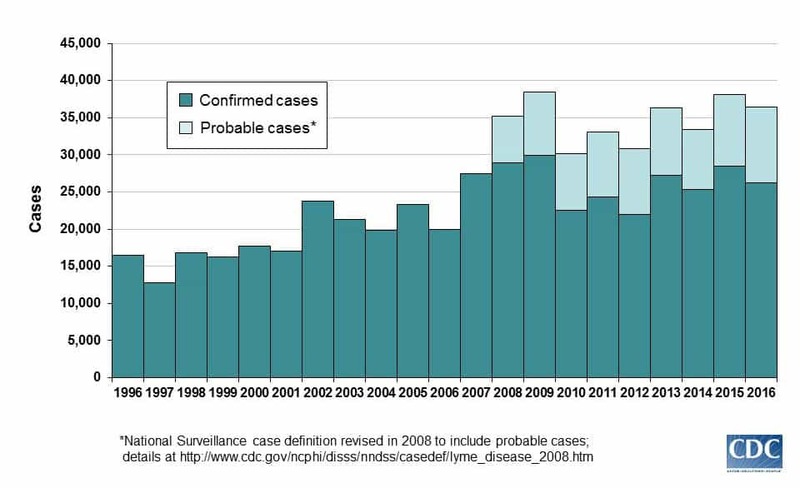 The number of cases has been climbing dramatically over the past decade as you can see from the CDC graph below, and experts believe that the real number is ten times that size because most cases go unreported. But, there's plenty you can do about it as you'll learn below. 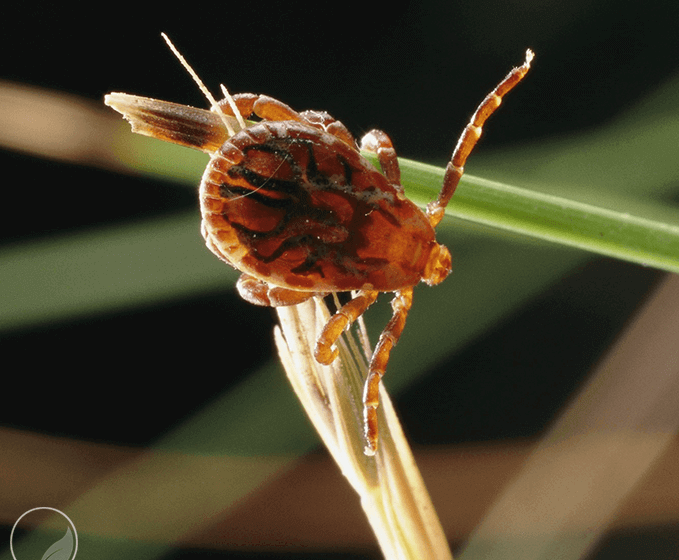 Learn how to quickly and affordably execute these expert-recommended [ 2] tactics to repel and kill ticks ( Dermacentor sp.) below. There are many ways you can protect yourself from ticks, but these are some of the most common, simplest, and more basic methods. Ticks need high humidity to survive and the moisture level inside a typical house isn’t enough to allow them to endure for very long. That's why your home is usually a good refuge unless you have pets that run freely between indoors and outdoors. If you’re thinking of using any sort of pesticide, flea/tick collar, etc. on your pet, please review this article from the Natural Resources Defense Council. Those products are outright toxic to humans and especially so to children . The use of natural repellents versus the standard chemical ones on the market is a deep subject and we're only scratching the surface here. I just want to let you know some effective natural strategies and to make you aware of the severe toxicity of standard repellents and pesticides so you can protect your family from them. Regardless of which insect is infesting your home or yard, our top recommended solution is almost always the same. Cedar oil is a safe, non-toxic and all natural solution for killing and repelling most insects. 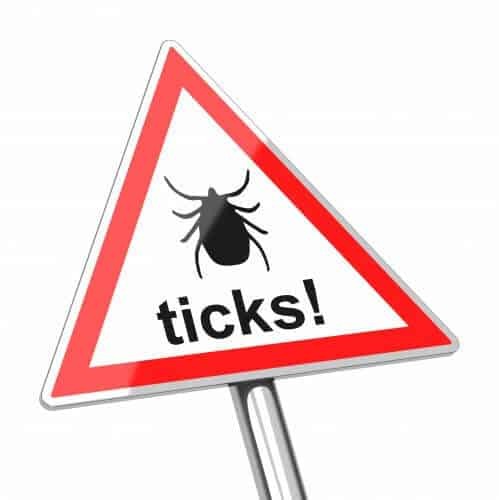 There are a number of steps you can take to minimize the risk of tick bites during the summer. These tactics mostly revolve around defining a "safe zone" in your yard and protecting that zone from ticks and the host animals that carry them. If there is any trash in your yard, piles of sticks, leaves, or cut grass, remove it all. If you store your trash outside until garbage day, make sure it’s not near the safe zone. Debris attracts host animals like rodents and it is a safe harbor for ticks as well. The first step is simply to make sure your yard is nice and clean, which your family and neighbors will appreciate anyway! Ticks need an environment of high humidity to survive, and they love moisture. Pruning back tree limbs and removing any other shade will help to keep the tick population down. You want your safe zone to be as sunny as possible. Some substances that are not pesticides do repel ticks. Garlic is said to help keep ticks at bay. It does NOT kill ticks but, like many insects, they may tend to avoid it. We spray our yard and bushes with a homemade garlic/water solution because it IS deadly to mosquitoes and if the ticks hate it, that’s a bonus. Another option that does kill ticks is food-grade diatomaceous earth (DE). DE has many uses but one of the great ones is that it dries out and kills insects that crawl across it. It looks like a white powder and is composed of crushed, fossilized phytoplankton. It’s similar to the DE used to filter water in pools, but do NOT use that type of DE. It has other chemicals in it and it won’t kill ticks because the silica content is too high. You want food-grade DE. You can spread DE all over your yard or use it as a barrier around the perimeter with complete confidence. The last and best option we’ll mention is cedar oil. Most bugs hate cedar oil and it’s deadly to ticks, attacking them in 6 different ways. We use a combination of garlic and cedar oil throughout the summer and have found this to be a very effective strategy when sprayed on the lawn and shrubbery. 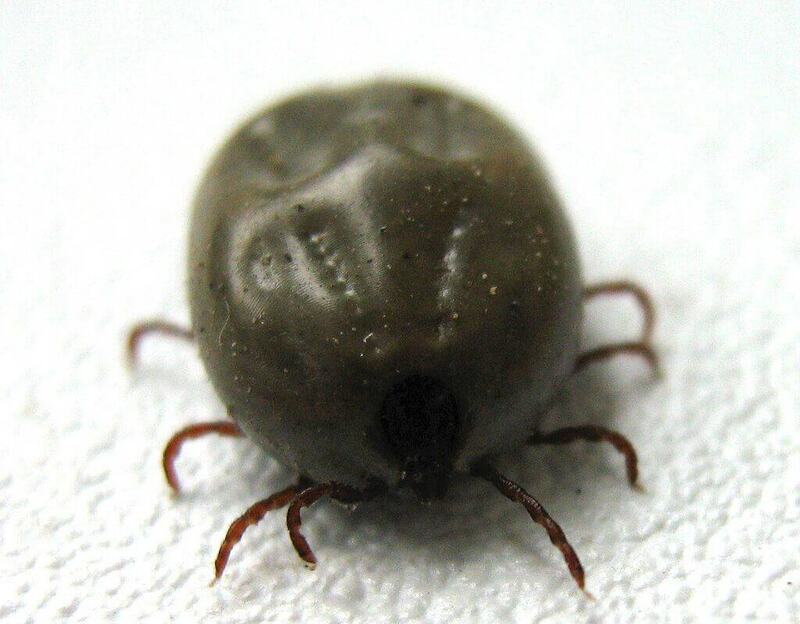 Treating the safe zone with repellents can help, but host animals can carry ticks anywhere and drop them wherever they go, so you need to repel host animals as well. Deer can be kept out with fencing, by planting deer-repellent plants around the perimeter, and by treating an area with certain substances like ammonia, human hair, and urine. Even hot sauce-based repellents are effective. Hot sauce and essential oil-based repellents also work on other host animals like rodents. Rodents can be trapped or you can make owl-boxes to attract owls and let nature take its course. Rodents also hate cedar oil. One effective strategy is to lay tick tubes around the perimeter of the safe zone. 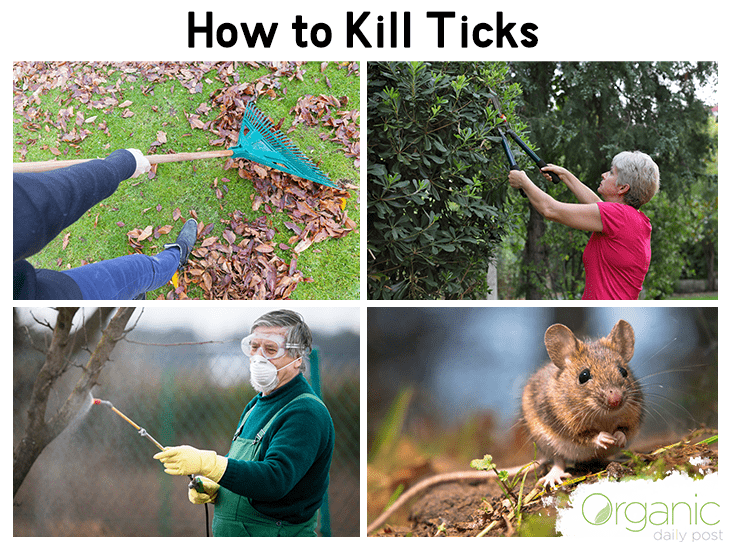 Tick tubes contain cotton laced with permethrin, which is not an organic pesticide but it’s harmless to the rodents that use the cotton to form their nests and is deadly to the ticks that nest there as well. It is claimed that this can reduce the tick population by 90%, though it hasn’t seemed quite that effective for our own yard. If you want to go all out or have a lot of deer in your area, you can incorporate a similar strategy for treating them. It’s possible to buy a 4-Poster Station where deer come to feed. While they visit the station they get laced with permethrin, killing their ticks. There are also some simple landscaping techniques that will keep ticks at bay. First, keep woodpiles well away from the safe zone as they harbor rodents and ticks. Keep the grass cut short and weeds well trimmed in and around the safe zone. A string trimmer is an essential weapon in the war against ticks. It also helps to have a "dead zone" around the perimeter of the safe zone. This makes it difficult for ticks to crawl into the safe zone. One common example is a 3-foot wide path covered with mulch or gravel. This can be made to look great as well, serving a dual purpose. You can also spray pesticides, natural or chemical. The upside of spraying is that it’s very effective if done correctly and can reduce the tick population in a given area by 85%-90%. It can also be done with minimal spraying, targeting specific areas of the yard where ticks reproduce, with light spraying done only twice per year. Permethrin is an effective chemical and cedar oil is the recommended natural alternative (highly recommended as it has WAY fewer side effects, like being poisonous to your cats). It has recently been found that certain types of naturally occurring fungus can kill ticks. This could be great news, as it would be an organic method of spraying. This is just the start of what you need to know about ticks and the Lyme disease they carry. Take a look at our Lyme disease topic page to get a deeper education on the subject. Now, go treat those yards and create a tick-free zone for you and the kids!